The EHA will be present, for the 14th year in a row, at the 23rd edition of the Hydrogen Fuel Cells Batteries Group Exhibit in Hannover from April 23-27, 2018. 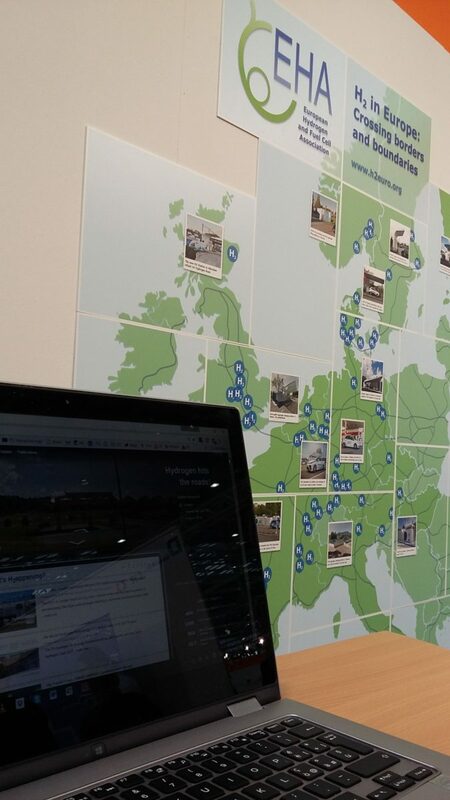 Join us in stand E65 in Hall 27 as we offer the best selfies at the Fair in front of our EU public hydrogen stations map, this year also featuring Europe’s main electricity and transport networks. The same week we will also be present at the EU’s TEN T Days in Ljubljana together with our TSO2020 colleagues to ensure funding for more synergy infrastructure projects; linking renewable power to hydrogen to speed up EU’s energy and transport transition needs to be facilitated in the new EU Multi Annual Financial Framework program!